Let's Live Together | They don't choose to be stray, they are made one. They don't choose to be stray, they are made one. Why adopt an Indian Puppy ? 1st Puppy Adoption Camp at India’s most Innovative Puppy adoption center, ‘The Indi Dog HUB’! Let’s Live Together a 9year old organization, being a Pioneer in conducting puppy adoption camps in India since 2009 recently Launched it’s’s very own space, The Indi Dog ‘HUB’. The Indi Dog ‘HUB’s first puppy adoption camp will be held on the 25th of November, 2018 between 11am and 4pm. A bunch of our rescued gorgeous puppies will be available for adoption. People can come by with their family to adopt the puppies. People can call Let’s Live Together on 9663294609/ 9986413916 to ADOPT! Launch of India’s first ever Puppy Cafe in Bangalore. 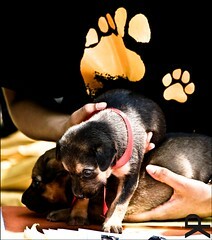 Let’s Live Together proudly invites you to ‘The Indi Dog Hub’ a Puppy Adoption Cafe in Bangalore. ‘The Indi Dog Hub’ by Let’s Live Together Charitable Trust is a unique space dedicated to celebrating the unsung souls of Inida – the Indi dogs! The HUB, will house adoptable ‘Indi puppies’ who are rescued from the street. Let’s Live Together, is a puppy adoption center working in Bangalore since 2009 specially for the “Native Indian Breed of Dogs” through direct action. Let’s Live Together started the concept of adoption camps for homeless puppies 9 years ago and has been a trend setter with many rescue groups now following and conducting adoption camps all over India and abroad. With an experience of rescuing and finding homes for puppies for almost a decade, Let’s Live Together has now Launched The Indi Dog Hub, for people to come hang out, relax, unwind and get some puppy love. At our Puppy Cafe, Happy hour is through the day with Playful puppies and delish snacks. What better way to spend time than here. Come fall in love or just spend the day here, you won’t want to leave. The weekend cafe, will be open from Friday to Sunday starting the 17th of Aug 2018. The HUB is a vegan, cruelty free, earth friendly space.100% of all the proceeds from the cafe, the charity shop and the activities at the HUB will go to save animals. Some moments captured from our April camp. FREE Sterilization camp for cats. Bangalore’s Second FREE Sterilization camp for cats. After successfully sterilizing 56 cats in 5 days last month, Let’s Live Together Charitable Trust in partnership with Worldwide Veterinary Service, UK is conducting their 2nd sterilization camp for cats this May. Let’s Live Together under it’s Program Humane Fix, is hosting a 5 Day FREE Spay and Neuter Drive(Animal Birth control surgeries) to promote spay/neuter as a humane and effective means of reducing the number of cats that get killed or going homeless every year. A team of skilled Finnish veterinarians from (WVS) Worldwide Veterinary Service, will perform the spay and neuter Surgeries. The event has been specially planned for people who look after cats in and around their homes and offices and pet cats, to encourage responsible animal guardianship. LOW COST for Pet owners. Let’s Live Toegther’s priority is to serve pet cats from low income families and homeless cats. WHEN: Event date: 20tho the 25th May 2018. WHERE: Let’s Live Together’s office. No 30, Karthik clinic, 2nd cross, 3rd main, Devaiyapark(near srirampuram metro station). or mail us at llt.spayneuter@gmail.com. for more details. WHY: Let’s Live Together firmly believes that animal are a community responsibility! There are thousands of free roaming cats in Bangalore, these cats are not always the offspring of homeless “street” cats—these are unwanted kittens abandoned by families who have unsterilized pet cats. Spaying and neutering is the only 100% proven way to reduce these numbers and save animals’ lives. Apart from sterilizing the community cats, it is important for home cats to be spayed or neutered as well. Thus to encourage responsible ownership/guardianship were are offering FREE Spay and Neuter(animal birth control)for 5 days, in Bangalore. Please fill up this Let’s Live Together Puppy Rescuer form, Let’s Live Together Kitten Rescuer form and send us individual pictures of the puppy or kitten to llt.adoption@gmail.com to put an Indian puppy or kitten up for adoption at Let's Live Together. Send an email to llt.adoption@gmail.com or leave us a msg on 9986413916 to adopt baby Peach, in Bangalore from Let's Live Together. Let's Live Together's INDI Dog- CLUB picnic... Out on a fabulous day with our gang to celebrate our 10th anniversary. Hope this video fills your heart up with joy!! :) It's not everyday that we get a gift so beautiful.. These are the 9 wiggly woggly puppies who we have hand raised since a month and are up for adoption at the moment, captured brilliantly by the super talented @instaghul :) :). Can't thank you enough for it. . . . . 7 of these puppies are up for adoption. Do you want to be one of those lucky people to take one of these puppies home?? Leave us a WhatsApp msg on 9986413916 if you wish to adopt them. (NO DM's please). Can you spot the puppy on the table?? That's our newly appointed, front desk officer Mr Gogi Berry. He patiently sits on the table while our intern Nitya, works on the computer. If you have been looking for a puppy to sit by you patiently while you work, Call us on 9986413916 for Mr Gogi. Our first set of the wiggly woggly puppies go home today. That's Jackfruit and Berry, with their lovely parents Raghul and Poornima :) :) The lovely couple are vegan and totally believe in a cruelty free lifestyle. We are super happy to have connected with them. 2013, February 8th – 10th, Free Spay and Neuter drive in Bangalore by Humane Society International and Lets Live Together.